Pokémon Sardonyx: Raised to Win is a fangame made in Pokemon Essentials v16.2, by a small team of friends based upon a play-by-post roleplay that lasted for a few years. The roleplay eventually ended in favor of continuing the story as a game and a Nuzlocke comic. We have recently picked up development again and are eager to tell the story we've been wanting to since 2011. PS:RtW is a somewhat ambitious game, featuring in the future a branching storyline and deep worldbuilding. We may take artistic liberty with many established pieces of Pokémon lore, particularly centering around the Pokémon themselves. We take inspiration from both the games and anime, as well as Nuzlocke artists, a certain PMD fanfiction author, common theories, and random musings from the devs. While we strive to have memorable game mechanics and features, our game is intended to be primarily narrative-driven and rewards the player for exploration and interaction. Almost every object can be interacted with. 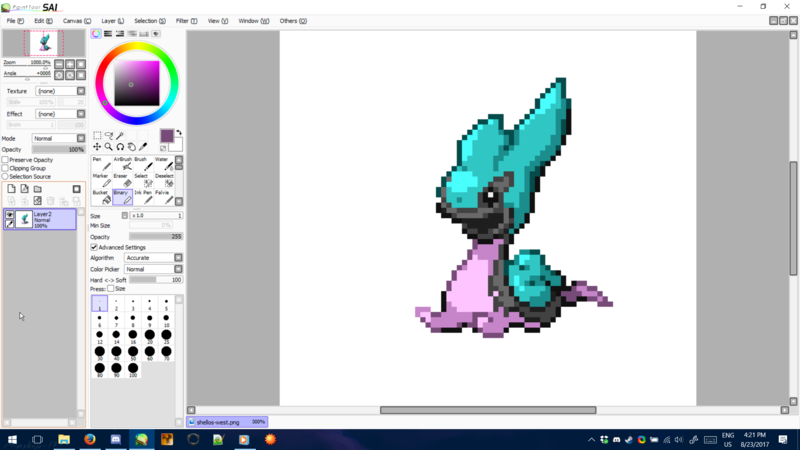 While the game may be relatively easy at the start, it is intended to have a difficulty curve similar to Pokémon Platinum Version. We recommend searching the grass for Pokémon (each area has a wide selection, even cities) and training when possible. We do not recommend playing the game on a Nuzlocke Challenge, at least on the first playthrough. More cautious or paranoid players may wish to save the game often, just in case something happens. We currently have a workable development team and do not technically lack any roles. We should be able to complete the game with our current team. However, we will consider applicants for spriters, scripters, composers, and promotional/graphics artists. Please see the Contact section below. We market ourselves as a parody protected under Fair Use laws. In no way do we receive profit from media related to this fangame. Map may not be final and is subject to change. You begin in Granite Town in the Altaris Region, a small town by the region's standards but beginning to expand and urbanize. Though you already sort of have a Pokémon- a family "pet" belonging to a relative that is no longer available- you decide that you need to go get a Pokémon of your own and become a trainer. Your neighbor and best friend tags along with you as you head to Shardil Town, where the professor will give you a choice between three Pokémon: Eevee, Mienfoo, and Solosis. Very soon you begin to become aware of a gang, similar to those in other regions and yet somehow different. Reportedly, they almost never steal the Pokémon of other trainers. There are no grunts. There is no consistent uniform or identifying aspect aside from the raven they use as an emblem. These phantom whispers of a gang calling themselves Team Mortis reach you nearly everywhere you go, as does news of their illegal activities: pitting Pokémon against each other in battles to the death. But are they the only criminal activity in the region? Adventure through the island region and forge your own story. One might instinctively aim for the Gym challenge and Pokémon League, but none of this is required if you wish to take a more unorthodox path. Talk to everyone you meet, investigate every nook and cranny, explore every hidden passage and you will be rewarded for your efforts with deep worldbuilding and expansions on the established Pokémon lore. As long as there is life in us. As long as we hold the will to survive. - Regional variants, similar to Alola forms-- currently 60 and counting! Due to the sheer amount of questions we have accrued, we have taken to displaying our FAQ on our website. Due to the sheer amount of screenshots and promotional art we have, we choose to link to the respective pages on our website instead of showing everything here. It will be updated with each release. Pokémon Sardonyx has a website! You can follow the development of the game at our Twitter account, @Sardonyx_RtW! It's too bad we didn't come up with Altaran Pidgey until after we sent out the early test demo. It would have been interesting to see RuffledRowlit possibly encounter it in his showcase. Ah well, we have another release to wait for that possibility. Actually on that note, we currently have 31 regional variants planned for this game. We're not gonna reveal what they all are, but the ones showcased in the intro post should give a good enough idea of what we have in store. We'll likely add more over the course of development should we think of any others. You will likely encounter at least eight of them in our next demo, which we hope to release later this year. So be patient until then, and one day you can have your own Ekans look-alike. Or perhaps a cute doggie with fur covered in waterproof oil. Or maybe a creepy black widow. I don't know. Whatever you're into, I guess. Also, if any of the screenshots seem inconsistent, it's probably because the screenshot was taken before changing something and then another was taken after (such as summary and battle UI textures right now). Hey, I'm the main composer for this project. I'm not going out of my way to sound like Game Freak by using their samples. I'm using mainly Hollywood Orchestra by EastWest, so we'll have a decidedly more modern sound. EternalSushi and I collaborated on a track for the game, which will be released on his YouTube channel when I finish mixing it. Made the OP a little prettier, including a couple new screenshots and our map. To think I had the idea of giving Shellos a new form for Altaris, and then Altaran Shellos-line happened... Probably not gonna be in the next release. I just really needed to show you guys what happen to our brains when making these things. Following various people approaching me with questions (mostly on Discord), I have added a FAQ section to the OP. Feel free to pose your own questions, as well. We now have a very rough website while I save up enough money to pay for an actual host. As a future note, if you want to feature Sardonyx: Raised to Win on your website, please contact one of the two of us about it first. What happens when you take a possibly unintended yet super rare alternate color for Pokemon in XY, implement it in Sardonyx, and give it the odds of shiny Pokemon prior to Gen VI? You get Metallic Pokemon! That's right, folks! Rumored to have been sighted in the region of Kalos, the so-called Metallic Pokemon are named for their dull colors and bright sheen. The exact cause of their existence- however- is still a mystery to the scientists of Altaris. No relations to genetics have been found, yet Trainers attempt to consistently breed them. Regardless of how they came to be, they can be found everywhere in Altaris. Though with a 1/8192 chance of finding one- and no apparent means of altering those odds- you'd be pretty lucky to find one. So really, you have better luck of running into a Shiny than a Metallic. Also, I'll be officially taking over updates in this thread from now on while Kuda takes care of the Twitter account and official site. A couple of things I'll throw in. First off, we have the prototype for the Shardil Town theme for you to check out, courtesy of EternalSushi (which has been finalized by Nebulon Ranger). Check it out here. Also, we have finally set up a public Discord server for Pokemon Sardonyx. If you want to check in on development or just want to drop in and say hi, then feel free to hop on over. Link is also available on the official Sardonyx site and Twitter page. It should be noted that we're really only waiting on music. If it comes to it we can release a demo with placeholder music, but we'd rather try to get custom tracks if we can. Here's a bit of a teaser for you all. This game looks awesome I love the new forms you have made! Looking forwards to the demo! Well folks, the time is finally upon is... That's right, it is the winter solstice! Anyway, Keileon and I are proud to announce the release of the first public demo of Pokémon Sardonyx: Raised to Win! Link to the official download is included in the first post, though if you don't want to scroll there, click here. Thank you for your patience, and we hope you enjoy this demo. And also remember to show your love for this amazing franchise by buying Pokémon Ultra Sun and Ultra Moon if you haven't already. EDIT: Whoops! Looks like all the traffic the demo link got resulted in it being temporarily suspended. Congratulations everyone! We broke the system! Anyway, we're working on getting some mirrors up. Sorry for the hilarious inconvenience. We've set up download mirrors on the Downloads page. It should work now. Moral of the story: don't host the only demo link on Dropbox. Hey man so far it looks good, I cant wait for the finished product but so much time and effort has been put into this. Great job keep at it! Ooh, I'm excited to give the demo a try~! 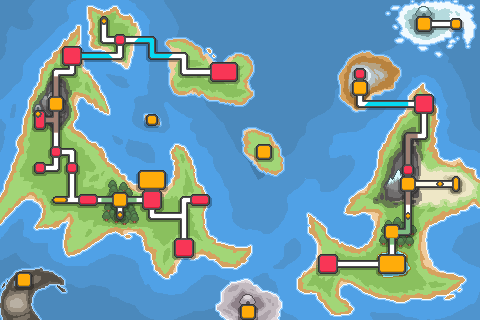 I've been eyeballing this game for a bit, and while internally I'm agonizing over how short the demo is probably going to be (just since the FAQ says 'first gym city' and all), I'm wishing you guys lots of luck going forward. We've actually had a couple people say the demo is surprisingly long- a beta tester took about five hours to run through a prerelease.